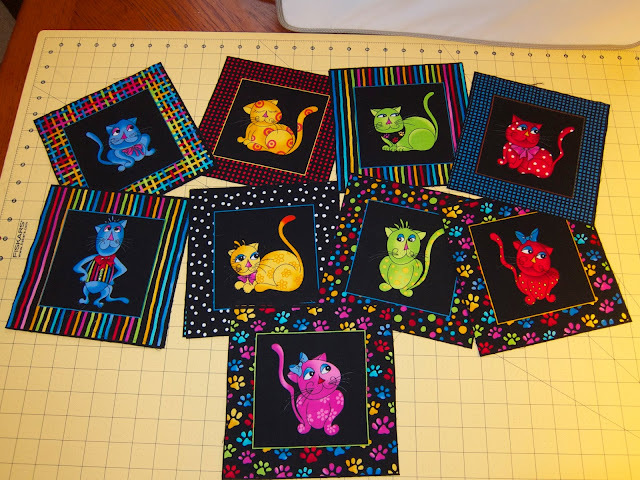 What to do with these colorful cats... I have 20 blocks total and I think I want to try and make a twin sized quilt with them using a bright red background. I also have a small amount of coordinating fabrics with which to make some filler blocks. I guess I need to take pen to paper to see what I can come up with. What do you think, any ideas?